In middle school, students continue to connect their learning by Engaging and Expanding their knowledge and growing their talents. They are full of energy and life and are eager to experience more! Covenant seeks to provide a training ground that balances academics, character training, athletics, and fine arts. 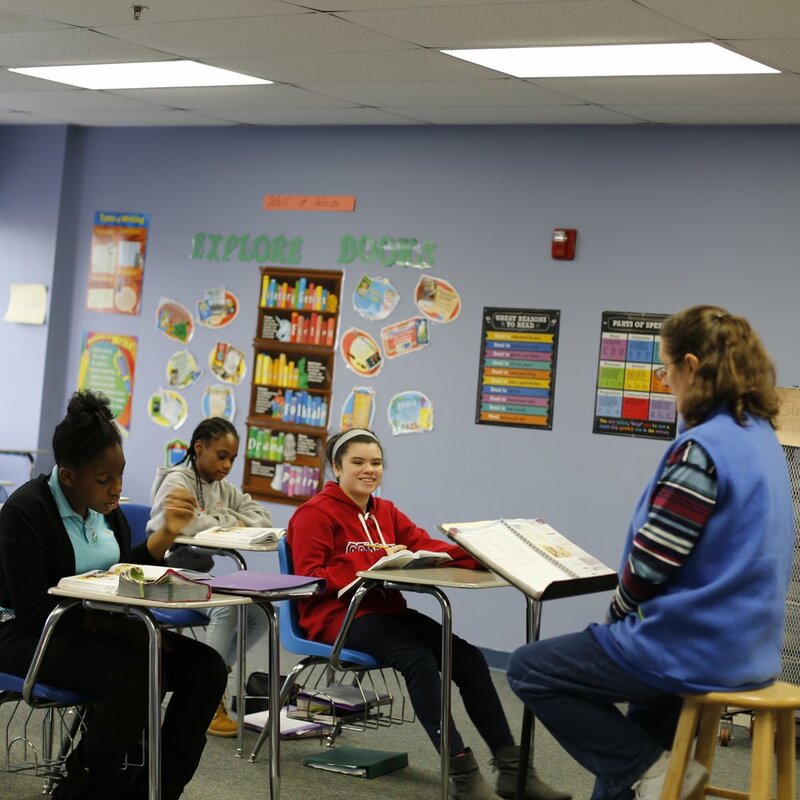 Academically, Covenant's core curriculum of language arts, mathematics, science, and history meets or exceeds state and national standards at all grade levels. Middle school students rotate through exploratory electives in art, Spanish, technology and engineering, and physical education. Weekly chapel services and daily Bible classes are designed to develop in each student a Biblical worldview, a deeper understanding of the Christian faith, and an understanding of their own place in the fabric of God's plan. Covenant's middle school students are also given the opportunity to participate in our middle school chorus, orchestra, and band. Junior varsity athletics, including volleyball, football, basketball, softball, baseball and cheerleading, are also open to students beginning in 6th or 7th grade, depending on the sport. These programs designed to educate the whole child - spirit, mind, and body - provide not only a foundation for a smooth transition to high school, but also expand the foundation for success in all areas of life.